The surest way to confirm your immune status is through blood testing; therefore, when combining the following blood panels, (groupings of blood tests) for analysis, an overall picture of functionality becomes clear. This is a comprehensive metabolic evaluation of 30 different blood tests. This is also comprehensive with 12 different blood tests that address general health, hormone status, cardiovascular health, and prostate function. This test evaluates and compares two important parts of the immune response. 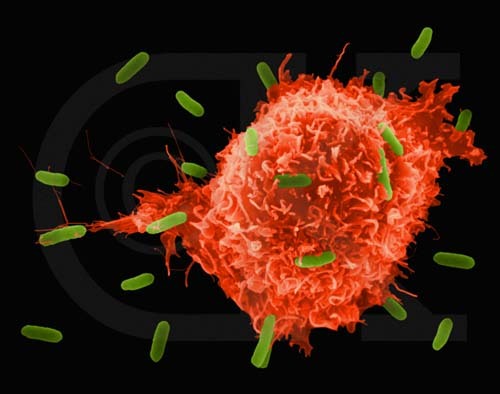 Without T-helper cells many of the other immune cells are not able to activate and fight infection. This test measures the number of T-helper cells. After activation of the immune response, suppressor cells deactivate the immune cells fighting the infection. This test measures the relationship between T-helper cells and T-suppressor cells. This panel is used to find the source of chronic inflammation, after a high CRP reading (C reactive protein) or the persistence of any chronic inflammatory condition. Cytokines are proteins that modulate the inflammatory response. This panel identifies elevated levels of specific cytokines. One of the body’s most important minerals. Co-factor in hundreds of enzymatic processes within cells, helps maintain normal muscle and nerve function, keeps heart rhythm steady, promotes healthy cardiovascular function, helps maintain blood sugar and blood pressure levels, supports a healthy immune system, keeps bones strong. Vitamin D is important to every cell and tissue throughout the body. From proper immune function and bone density to heart health and mood disorders, vitamin D is critical for optimal health. The only way to achieve an optimal level is through proper supplementation. Helps screen for autoimmune disorders. The ESR or SED rate is a nonspecific test used to detect chronic inflammation associated with infections, autoimmune disorders, and cancer. 9) Cortisol A.M. - P.M. Measures adrenal function used to diagnose adreno-cortical insufficiency or hyper secretion. Chronic stress can fatigue the adrenal gland. This disruption results in symptoms like fatigue, weight gain, insomnia, depression, and anxiety. Click here for link on Cortisol A.M. - P.M. When reviewing reference ranges through the links, they may differ from others obtained from different blood testing labs. Our RR (reference range) originate from: Life Extension Foundation and LABCORP. A third resource for comparison purposes is Medline Plus found online.